The Fit Because Show explores how to bridge the gap between knowing what to do and actually implementing what it takes to become physically, spiritually, and mentally fit. 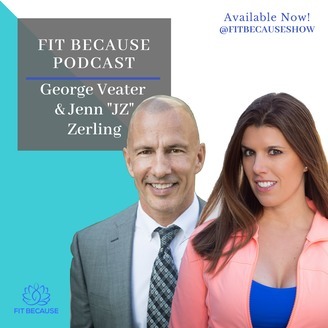 Along with expert guests, co-hosts Jenn "JZ" Zerling and George Veater use authentic and raw personal experiences to empower and inspire their audience. Providing tangible steps and realistic guidance toward effective change. When you see life through fit people, you too can live a fit "whole-body" lifestyle. Jenn "JZ" Zerling, MS, CES, CPT, is an author, fitness & age management specialist, and International Health Advocate. George Veater is a successful Entrepreneur, self-help expert, and Rodeo Champion. 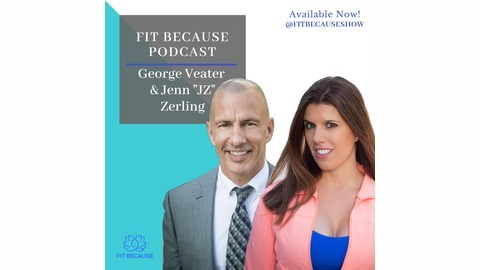 Gia Fey, international fitness trainer and founder of Curvygirl Fitness, joins George and JZ to talk about body positivity and loving the body you are in. Share your thoughts with us on social @FitBecauseShow or via email, fitbecauseshow@gmail.com. Tune in next time for more ways to live a truly Fit life!